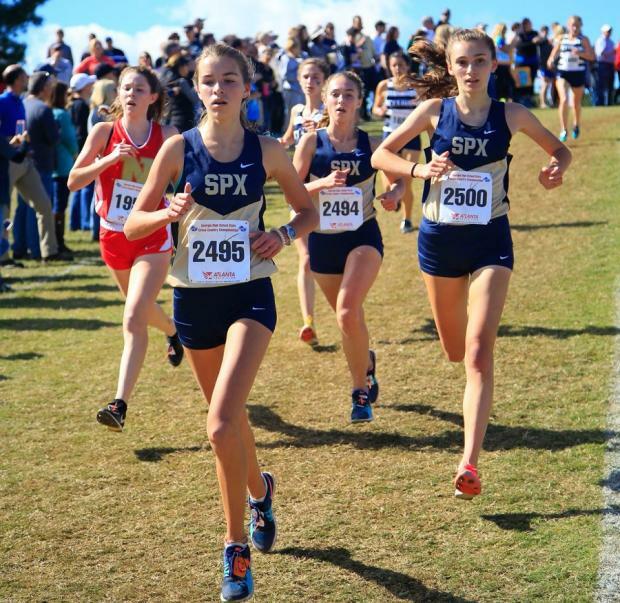 The #4 SE NXN Region ranked War Eagles didn't miss a beat, winning their 11th straight GHSA XC team title scoring 42 points. 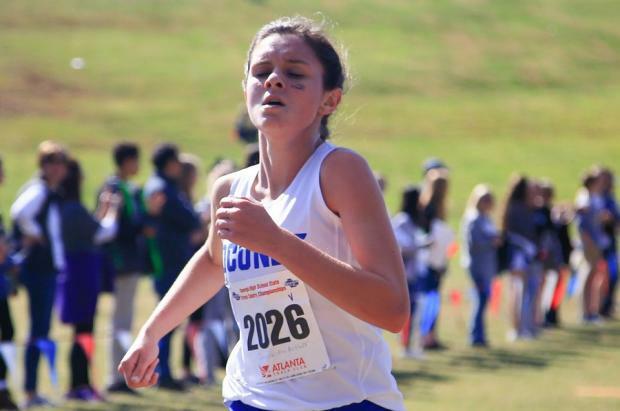 Kathleen Maley won a battle upfront with Caroline McArthur (Oconee) taking the Individual title at 19:22. They were missing their #2 (Kathleen Schellman), but Lucy Jewell Watson and Nora Solomon stepped up their game finishing 8th (19:54) and 9th (20:07). 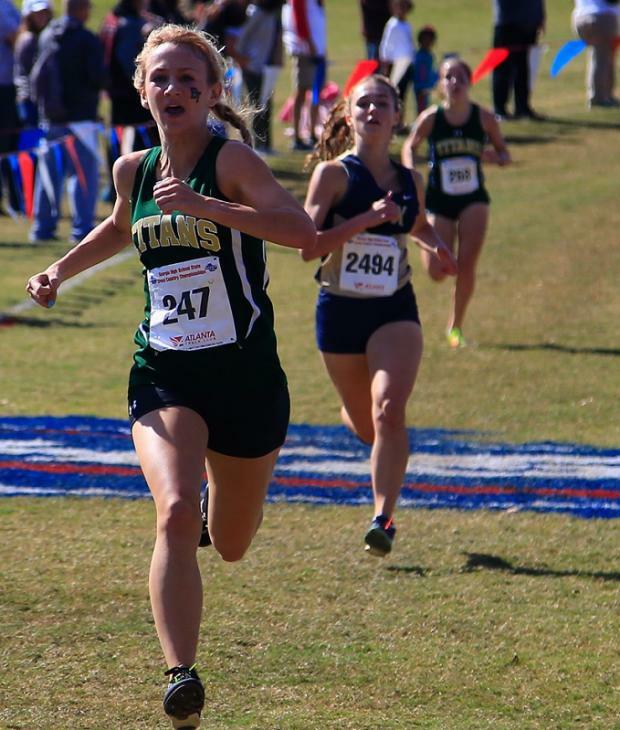 Blessed Trinity pushed St. Pius X hard the entire race, earning 3rd place as a team just 4 points back. 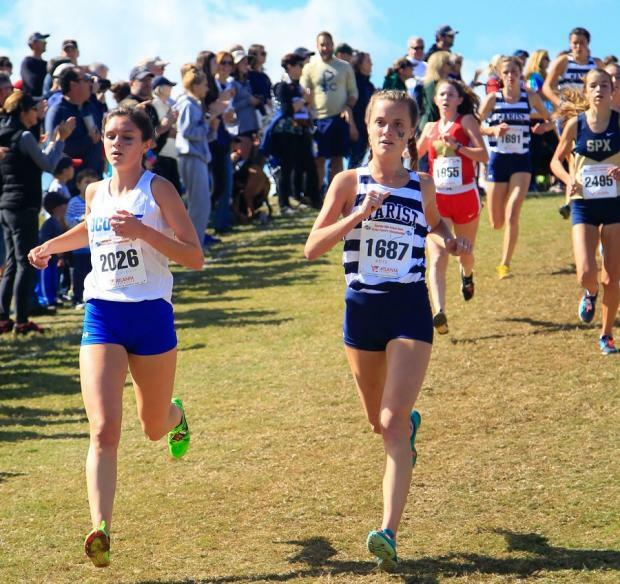 The Titans actually had a tighter pack with a 1-5 split of 1:10 and had 2 top 10 finishers including Sara Bailey taking 5th overall at 19:47 and Kelly Ann Sutterfield 7th in 19:51. Oconee County finished a very strong 4th grabbing the final team Podium spot. Caroline McArthur battled the entire race for the individual title, taking overall runnerup honors in 19:26. 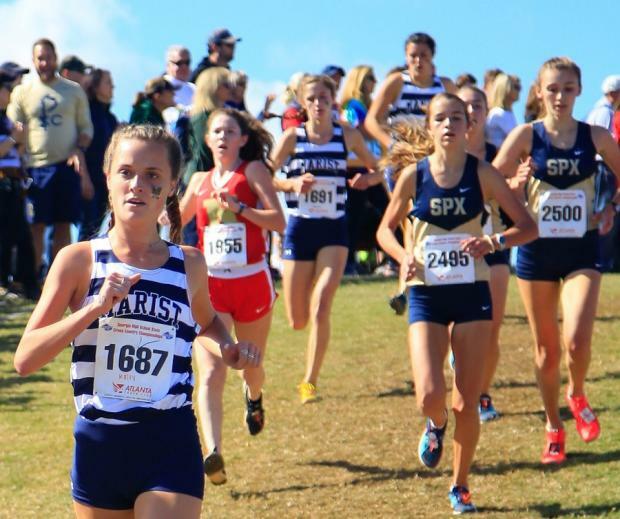 Phoebe Brodrick came close to making the top 10 placing 12th overall at 20:17. Kelly Morse from North Oconee was the sole runner not from a Podium squad making the top 10 clocking a 20:11.